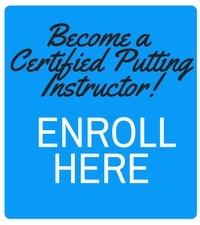 For Certified Putting Instructor (CPI) Jamie Cundy of Calderfields Golf and Country Club, it was a remarkable summer of coaching. Cundy was part of the team of PGA professionals that shared their expertise with golfing fans at The Open at Carnoustie in Scotland, followed by the Ryder Cup at Le Golf National in Paris, France. “I have coached at eight Opens. I wasn’t sure what to expect at the Ryder Cup, but I was really blown away by it. The scale was extraordinary, the number of people in attendance as well as the quality of the golf course. It was an amazing experience. 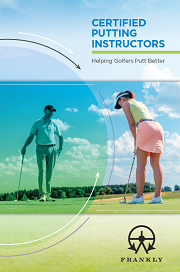 “At the Ryder Cup I was one of 5 professionals selected to coach. The days were long and intense with few breaks. Each lesson in the beginning was 15 minutes but we had to decrease that to 10 minutes because so many people were wanting lessons. “I was coaching people from around the world. There were lots of French people but also people from Japan, US, Australia, everywhere. His experience at the Ryder Cup prepared Cundy for an even greater, and more personal challenge when a few weeks later he embarked on a coaching marathon to raise money for the Skin Cancer Department at Queen Elizabeth Hospital in Birmingham, conducting 27 hours of non-stop coaching, starting at 6pm on Friday September 14th and ending at 1pm the following day. “There was daylight on the driving range until 9pm in the evening then I moved inside to the Trackman room. The sun came up at 6am so I could move outside again. I had no breaks and delivered one hour lessons. Everyone turned up for their lessons and it was quite emotional because people were getting up in the middle of the night to come to me for a golf lesson. I was blessed with the weather. It was a beautiful sunny day. Cundy was diagnosed with skin cancer several years ago and was very fortunate his GP spotted it during a routine visit and referred him to the Queen Elizabeth. He had a biopsy and 2 weeks later they operated on the melanoma. Through Cundy’s coaching efforts, he hopes he can make a difference to those that are less fortunate. Pictured below, Jamie and some of his fantastic students who came at all times of the day and night to have golf lessons during his coaching marathon! Well done to all.